If we talk about Bharatiya Janata Party government, it’s been four years since Modi government is in power. 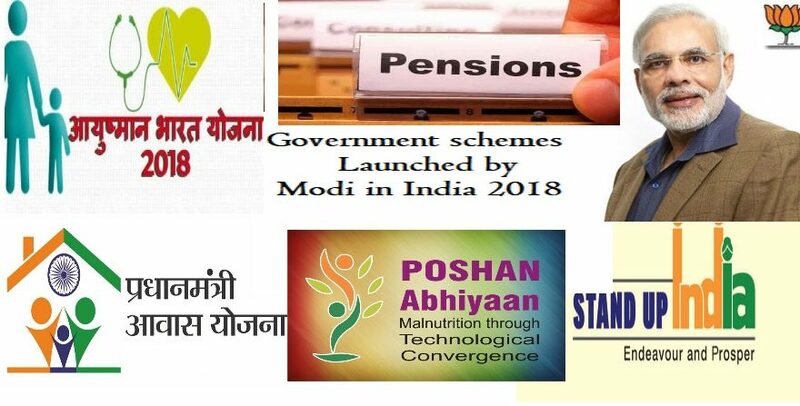 As there are various schemes and initiatives done by the bjp government in order to help poor and backward class people with different problems related to health, study, jobs and other major issues. According to searches it is been noted that Bjp government work is being liked by the people. Let’s see if Bjp will be able to retain it’s power in the upcoming Lok Sabha Elections of 2019 or not. Below we have given some information related to Bjp top schemes. This scheme was launched by Narendra Modi on 1st june 2015. The objective of this scheme is to provide affordable houses to the urban poor section as per the names under Awas Yojana list. There is also a facility of housing loan is provided under this scheme at low interest rates. Eco-friendly technologies will be used for the construction of the houses. As the scheme cover entire urban area of the country and first priority given to specific cities and if you want to check your for your hometown you can check the Awas Yojana list to confirm. After some update by the government in this scheme, it is divide in two sections rural and urban. By the end of March 2019 government decided to construct one crore new housing units and 51 lakh houses need to be built by March 2018 for urban as well as rural section. By using Awas Yojana List any can see that whether he is benefit under this scheme or not. This scheme will help the people who are not financially strong enough to built their houses. This scheme was launched by Narendra Modi on 15th August 2014. The objective of this scheme is to provide and ensure the financial services like opening a bank account, pensions, credit insurance for weaker and poor sections. As in this scheme bank account can be opened without any minimum balance. Under this scheme various facility like accidental insurance, life insurance, interest on deposit and overdraft facility is available. This scheme was launched by Narendra Modi on 9th May 2015. The objective of this scheme is to provide a term life insurance policy to the people for a year, which can be renewed yearly. This scheme is available for the people of age between 18 to 50. Under this scheme life cover of 2 lakh is given at a premium of Rs 330 per year. This scheme will provide a life insurance cover on the death of a policy holder. objective of this scheme is to provide a loan up-to Rs 10 lakh to small business owners, non corporate, small and micro enterprises. This scheme will provide maximum loan amount in three categories i.e. Shishu(50,000), Kishore(5 lakhs) and Tarun(10 lakhs). This scheme is made to encourage entrepreneurs and small business owners and to enhance their capabilities. objective of this scheme is to provide soil cards to farmers so that they can get good crops by studying the quality of the soil.b Under this scheme the soil is taken and tested in lab and the results and the suggestions then printed on the cards, so that they can make changes according to that. this scheme helps in spreading awareness about proper nutrients for different crops to the farmers. objective of this scheme is to ensure a bright future for a girl child in India. It is a small deposit scheme for a girl child which is also a part of Beti Bachao Beti Padhao. This scheme also focus on encouraging parents of a girl child to plan for her future by saving fund for her study and marriage. This scheme offers a small deposit investment for girl child and also provide tax benefits. objective of this scheme is to preserve the heritage character of all heritage cities of the country. Under this scheme the targeted cities are Mathura, Puri, Kanchipuram, Gaya, Dwarka, Badami, Amritsar, Amaravati, and Ajmer, Warangal, Velankanni and Varanasi. It focuses to bring urban planning and economic growth to realize the vision. It is focusing on revitalizing monuments and other heritage assets like temples, ghats and more and also look for citizen services, public transport and parking, roads etc. objective of this scheme is to provide immunization to all kids under 2 years age and also the pregnant women by preventing them by diseases through timely vaccines. As there are many targeted diseases like Hepatitis B, measles, tuberculosis, Haemophilus influenza type B, Japanese encephalitis and others which are dangerous. This scheme cover all the districts fall under Rajasthan, Bihar, Uttar Pradesh and Madhya Pradesh as there almost 50% of India’s unvaccinated kids.